We are proud to be the employer of choice for over 100,000 employees. We are committed to nurturing and growing our talent both in Malaysia and overseas as we believe they are our true business differentiator. Our talent management strategy is quite simple: to attract, motivate, develop and engage talent towards becoming outstanding professionals and well rounded international executive. We focus our efforts on ensuring our policies and programmes support this strategy. From the traditional learning and development programmes that are structured, developed and conducted by our Business School, to innovative practices like individual and team based action learning programmes, e-learning as well as local and international rotational assignments, we aim to be the catalyst for our employees to realise their true potential. We are pleased to inform you that we have vacancies as advertised below. If you do not find any suitable position and wish to send in a general application, please click below to submit your resume. Successful candidate will be offered an attractive remuneration pack andage with excellent benefits opportunities for career progression. 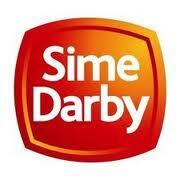 Interested candidates are requested to apply online via www.simedarby.com/careers.